Brazil has a long and colorful history in its economy: in Brazil money has often been scarce. People have survived a tough economy of Brazil throughout the centuries. Brazil has always depended on its products to strengthen the economy. During its early days in the 15th century, sugarcane was the main product to bring Brazil money for its plantation owners. Slaves were used to provide the labor and the owners reaped the benefits. The prosperity didnt extend past the wealthy landowners to the rest of the country. The Portuguese who controlled Brazil at the time didnt allow for industries that would compete with Portugal. This meant the Brazilian people didnt have opportunities to make money and enjoy the prosperity from the sugarcane. Though Brazil has had a series of gold rushes, they were small and did not benefit the rest of the economy any more than the sugarcane did. Businesses did not start up in the areas were gold was found because they were often located in remote areas. The gold that was found was a small operation that would not bring fortune to many. One product that did extend benefits to the economy of Brazil was coffee. It was mainly produced around the Sao Paulo area. The city grew as a result of the coffee boom to become the third largest metropolitan area in the world during the last half of the 19th century. This growth to the Brazil economy didnt last due to the long time between planting the trees and harvesting the beans. It would take four years from planting to harvest. Many decisions were based on the price at the time of planting, which could vary greatly by harvest. Much of Brazils economy has been affected by political unrest. Changes in Brazil money have happened to reduce inflation that has often been prevalent in Brazil during times of political uncertainty. 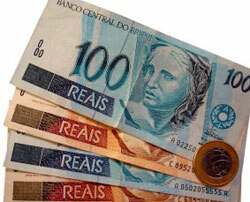 Today, the Braziliancurrency is the real, which has been in use since 1994. It was during the period from 1986 to 1994 that Brazil money changed several times in the attempt to improve the countrys depressed economy. Four variations were created before the real stepped in as the official currency. Brazil has continued to struggle with inflation in spite of its economic standing with its products. Much of this has been caused by political turmoil. The most recent president until Dilma Rousseff, Luiz Inacio Lula da Silva, took office in 2003 and served until 2010. He implemented several changes, but it has taken awhile for the average Brazilian to see the results. In fact, many of the initiatives have only happened in the last few years of his presidency. Today, the economy of Brazil has improved from previous times even in recent history. Brazil has become one of the leaders in producing bio-fuels. Even though the United States produces ethanol, their consumption is only a small portion of the total population. In Brazil, they produce and use a large quantity of ethanol because it is produced from sugarcane, which is cost-effective to manufacture. A young labor force that can increase production is also one of Brazils resources. The low investment in schools and education is the one thing that could hamper Brazils growth. In Brazil money is not focused towards education as it is in North America and much of Western Europe. Illiteracy is prevalent among much of Brazil, especially away from large cities. Those who do go to school often score low on tests compared to other developing countries. These tests include the basics such as reading and mathematics. Education has not been a priority for many families in Brazil. Parents do not make their children attend school unless they receive a subsidy that requires school attendance. This lack of education hurts the work force. Approximately 22% of people old enough to work cannot get jobs because they do not meet the qualifications. Some businesses have trouble hiring enough workers to meet demands. 28% of first graders have to repeat the grade and kids in secondary schools often drop out before they finish. In spite of these statistics, Brazils education system has improved in recent years. 180 vocational schools have been opened since the last president was elected. There is also a new test that is administered to evaluate the performance of students. The government has also created a scholarship program to aid low income students so they can attend private colleges. One of the problems with the education system is how the money is being used. Half of the budget goes to pensions for retired teachers and another ten percent goes towards kids who have to repeat a grade. Some students are as old as twenty-five years of age when they graduate from secondary school. Lack of the quality of education is another problem with schools. Teachers can be absent from school for 40 of the 200 days in the school year without having their pay suffer. The teachers are often poorly educated and are unable to help students excel. On the plus side, school attendance rates are improving and the number of kids graduating has increased to 47%. Businesses have gotten involved and are training some workers basic reading and math skills so they can be hired. According to the education minister of Brazil, Dr. Haddad, Brazil is improving faster than many of the other developing countries. They may be playing catch-up, but they are taking education more seriously than in past years. While the economy of Brazil has greatly improved, there is still a long way to go to bring them up to the level of their competitors. To improve the quality of life in Brazil money will have to be spent on education for the masses.